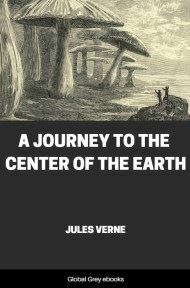 This is the 2nd part of the 2nd book in the Extraordinary Voyages Series. 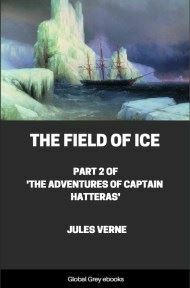 The story describes the adventures of a British expedition led by Captain John Hatteras to the North Pole. Hatteras is convinced that the sea around the pole is not frozen and he has an obsession to reach the place no matter what. Mutiny by the crew results in destruction of their ship but Hatteras, with a few men, continues on the expedition. 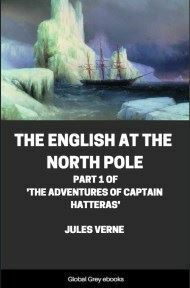 It was a bold project of Hatteras to push his way to the North Pole, and gain for his country the honour and glory of its discovery. 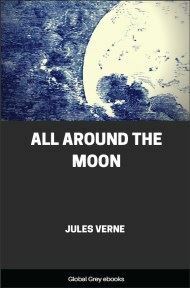 But he had done all that lay in human power now, and, after having struggled for nine months against currents and tempests, shattering icebergs and breaking through almost insurmountable barriers, amid the cold of an unprecedented winter, after having outdistanced all his predecessors and accomplished half his task, he suddenly saw all his hopes blasted. 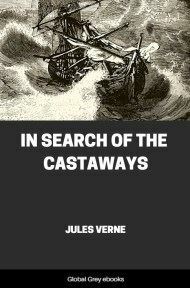 The treachery, or rather the despondency, of his worn-out crew, and the criminal folly of one or two leading spirits among them had left him and his little band of men in a terrible situation — helpless in an icy desert, two thousand five hundred miles away from their native land, and without even a ship to shelter them. However, the courage of Hatteras was still undaunted. The three men which were left him were the best on board his brig, and while they remained he might venture to hope. After the cheerful, manly words of the captain, the Doctor felt the best thing to be done was to look their prospects fairly in the face, and know the exact state of things. Accordingly, leaving his companions, he stole away alone down to the scene of the explosion. Of the Forward, the brig that had been so carefully built and had become so dear, not a vestige remained. Shapeless blackened fragments, twisted bars of iron, cable ends still smouldering, and here and there in the distance spiral wreaths of smoke, met his eye on all sides. His cabin and all his precious treasures were gone, his books, and instruments, and collections reduced to ashes. As he stood thinking mournfully of his irreparable loss, he was joined by Johnson, who grasped his offered hand in speechless sorrow. “What’s to become of us?” asked the Doctor. “Who can tell!” was the old sailor’s reply. “And the long-boat — is that burnt?” asked the Doctor. “That isn’t much,” said the Doctor. For the next few minutes both were silent, and then Johnson asked what had become of the sledge. “We left it about a mile off,” was the reply. 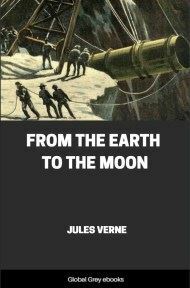 And in a few words he informed Johnson of their discovery. “An American!” said Johnson, as the recital was ended. “Then we have no fuel whatever?” said the old sailor.